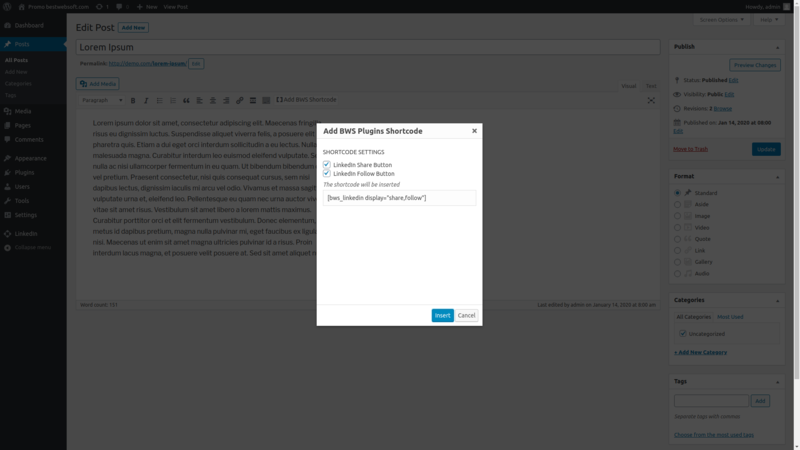 Add LinkedIn Share and Follow buttons to WordPress posts, pages and widgets. 5 plugins included – profile, insider, etc. Easy to use. Good plugin, thanks. LinkedIn plugin is a useful social tool which adds Follow and Share buttons to your WordPress website posts, pages or widgets. 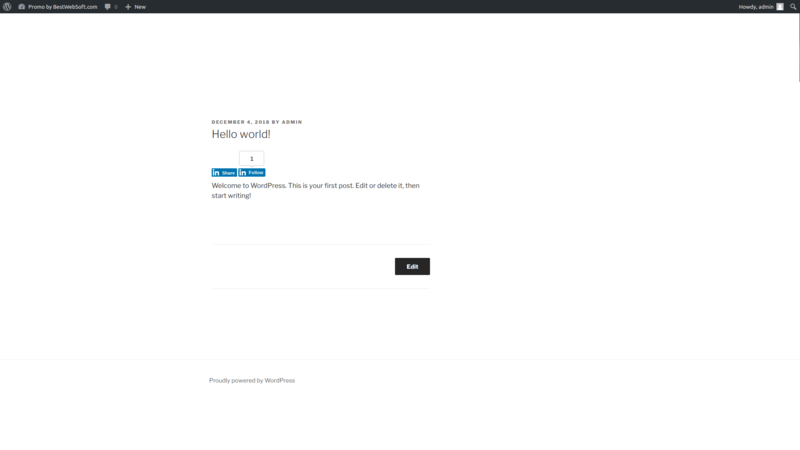 This is a great way to drop the whole LinkedIn functionality in your website and consumer validation for your brand. 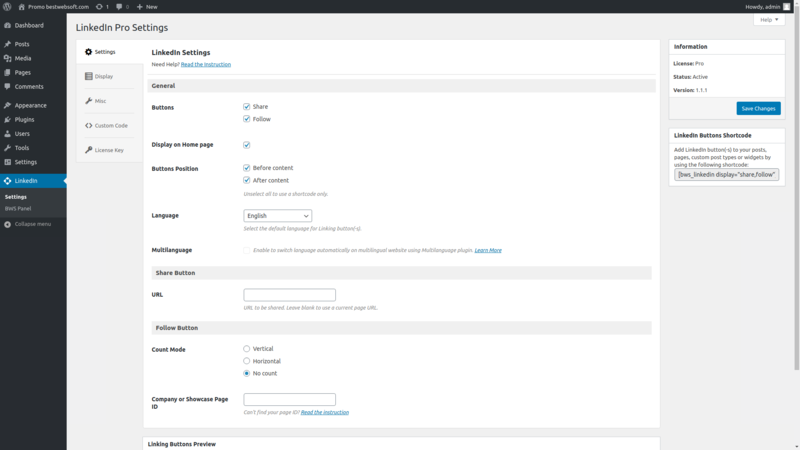 Customize the appearance, configure settings, and enable other advanced options to promote your public profile! * Update : All functionality was updated for WordPress 5.0.1. * Update : The counter for share button has been removed. * Bugfix : LinkedIn Widgets menu has been fixed. * NEW : Preview was added. * NEW : Ability to set custom URL for Share button was added. 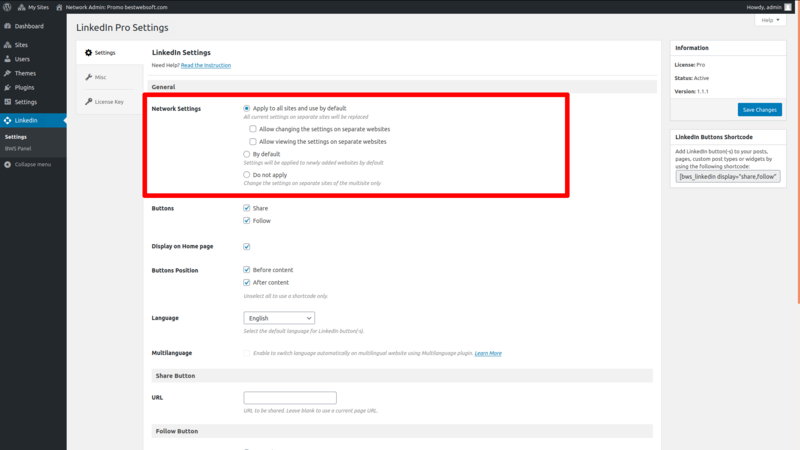 * NEW: Ability to exclude certain pages or post types from adding the LinkedIn button. 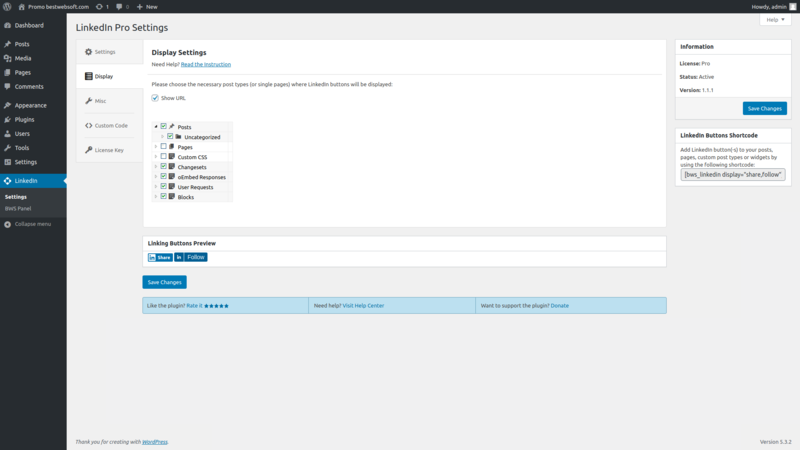 * NEW: Multisite functionality that allows setting all subsites from the network.